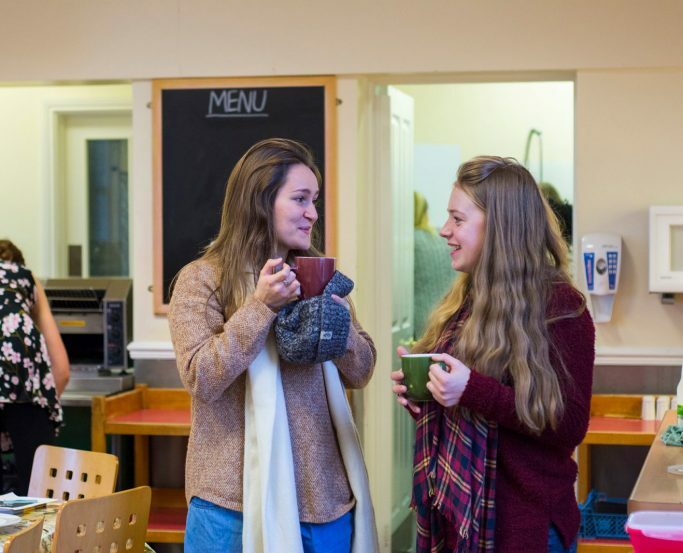 We are open all year round and provide quality residentials for schools, groups, churches and organisations. 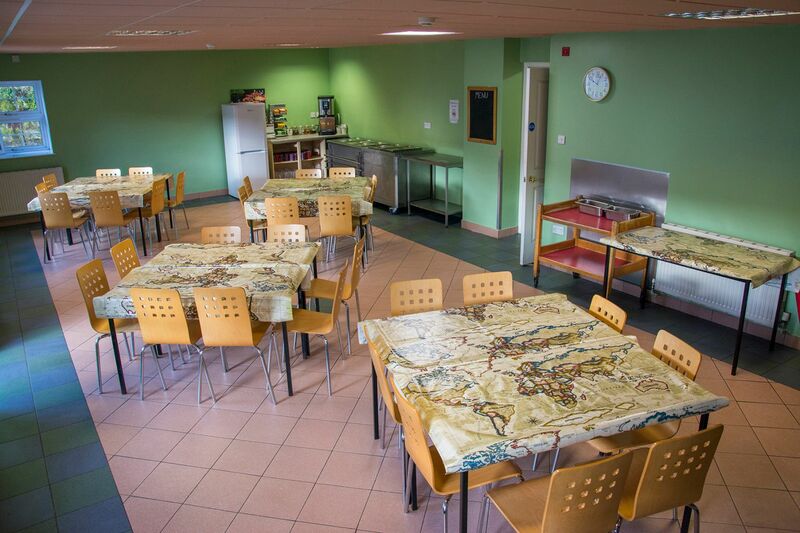 Whether you choose to go self-catered or fully catered, our staff team work around the clock to ensure your stay with us is comfortable, safe and enjoyable. Spread across four accommodation wings, Heatree, Farmhouse, Stables and The Way, we can accommodate just over 200 guests. 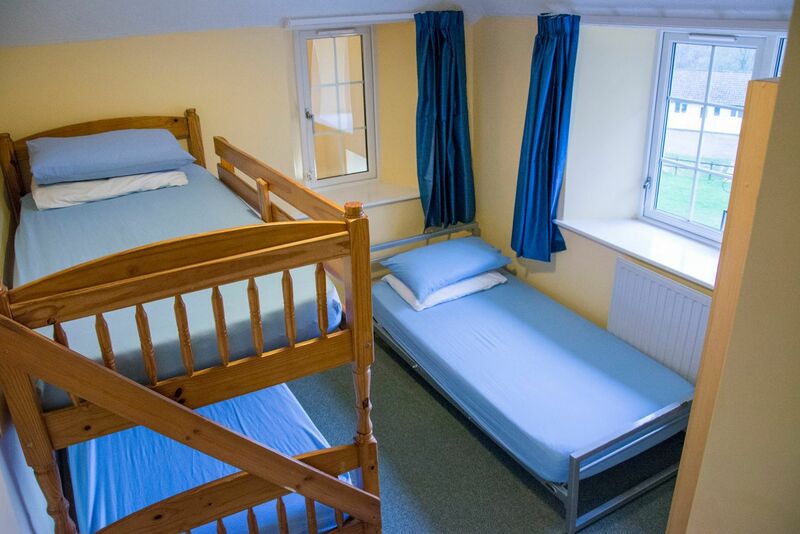 Our bedrooms are dorm-style bunk bedded rooms, the majority with en-suite facilities. 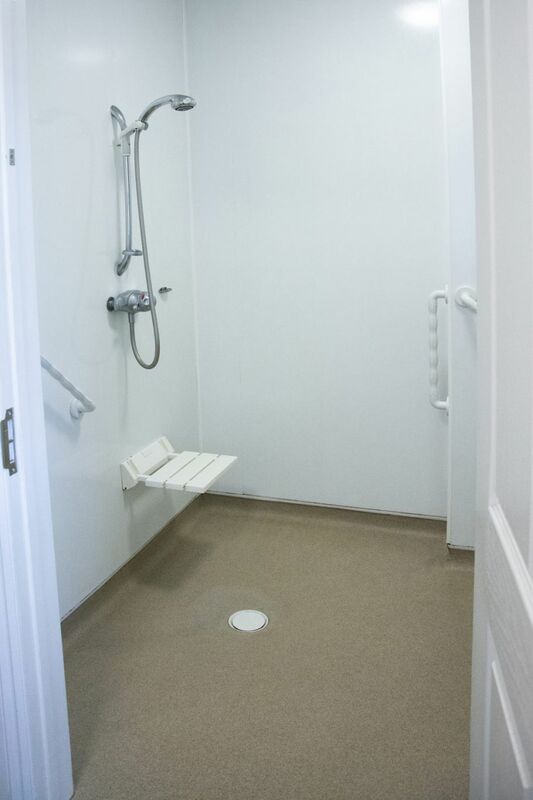 We have facilities available for our disabled guests, including wet rooms in some of our rooms (Stables wing). In the Heatree wing we also have a lift connecting the two floors. We can provide travel cots and stair gates for infants and add truckle beds in some of our more spacious rooms. 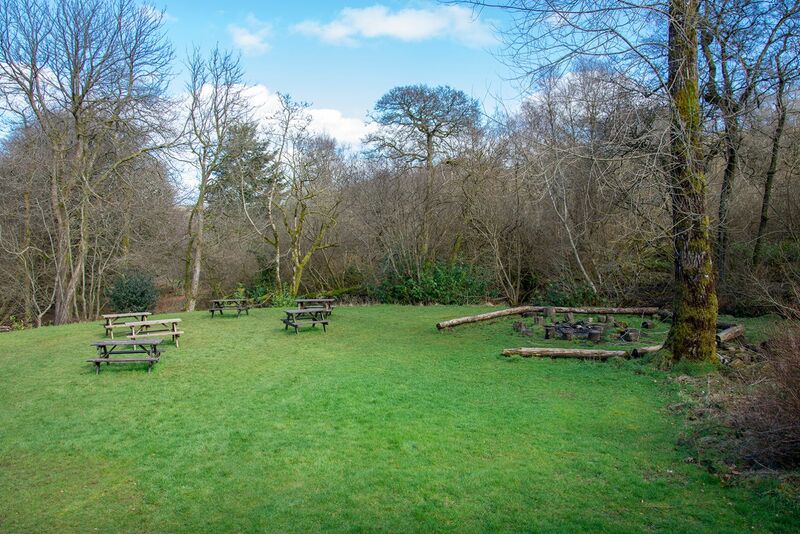 Camping areas are also available, please speak to us directly for more information. 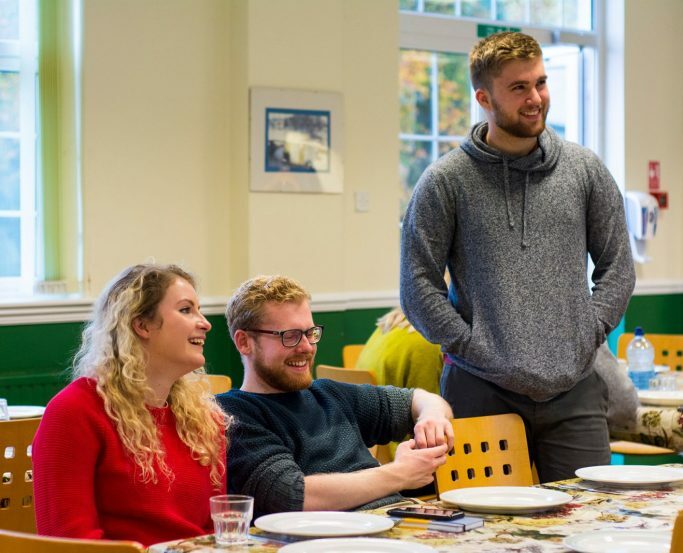 When you book your stay with us you will be allocated a wing (plus additional bedrooms or wings, depending on your group size and requirements, subject to availability). Our standard bedding consists of a fitted sheet, pillows and pillow cases and duvets. We ask all guests to bring their own duvet cover or sleeping bag (unless you have requested centre bedding) and towels, for the duration of your stay. You can view and download the Centre room layout map here. 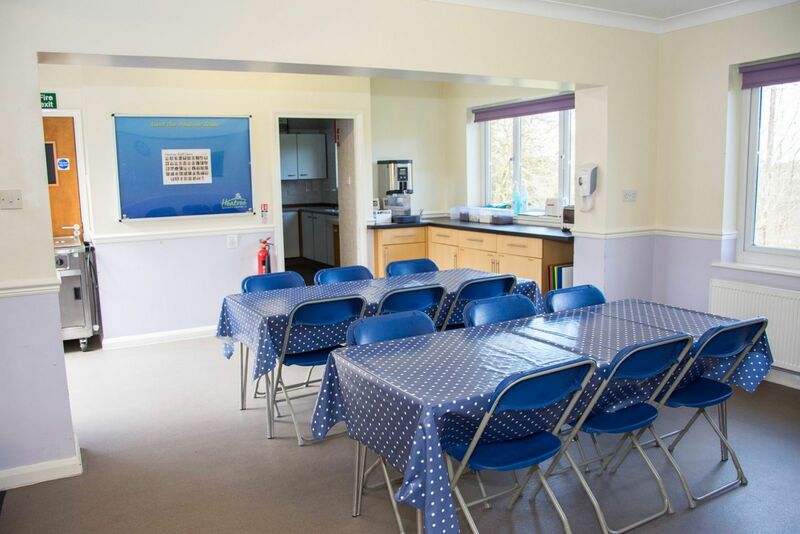 A Guest Handbook is provided to all teachers/group leaders which has lots of useful information to help make your stay with us as enjoyable as possible. 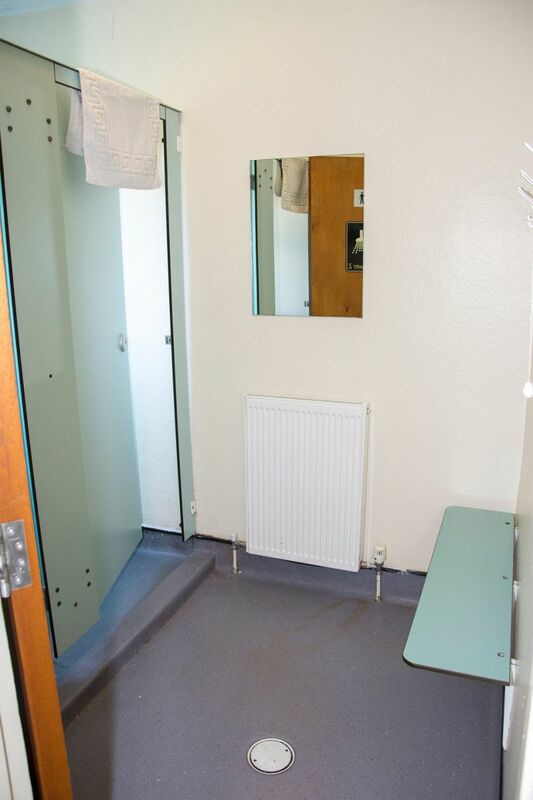 Heatree is our largest wing with 85 beds across 20 bedrooms. 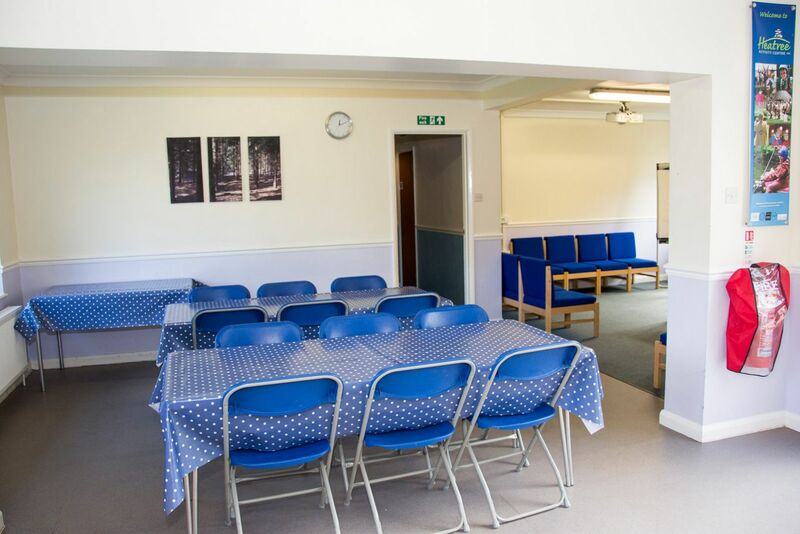 Downstairs there is a large meeting room, dining room, drying room and a fully equipped kitchen. 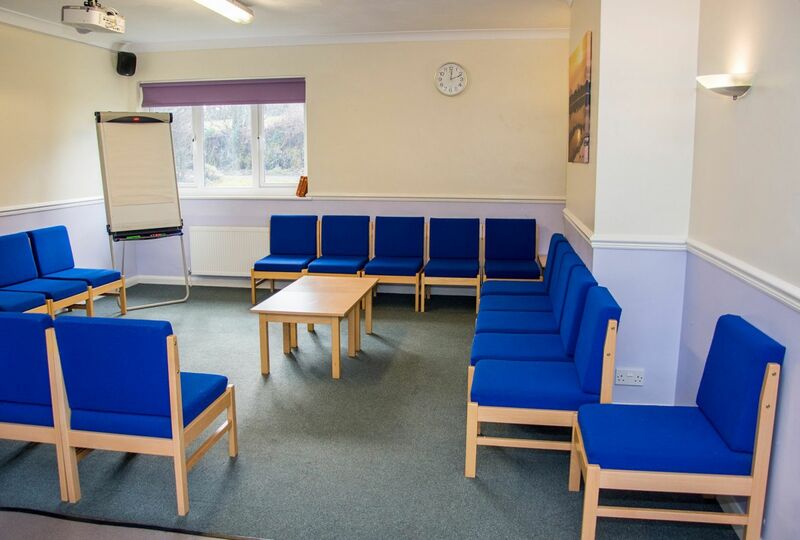 Adjacent to the main lounge is an additional breakout room with sofas where teachers or leaders can meet. 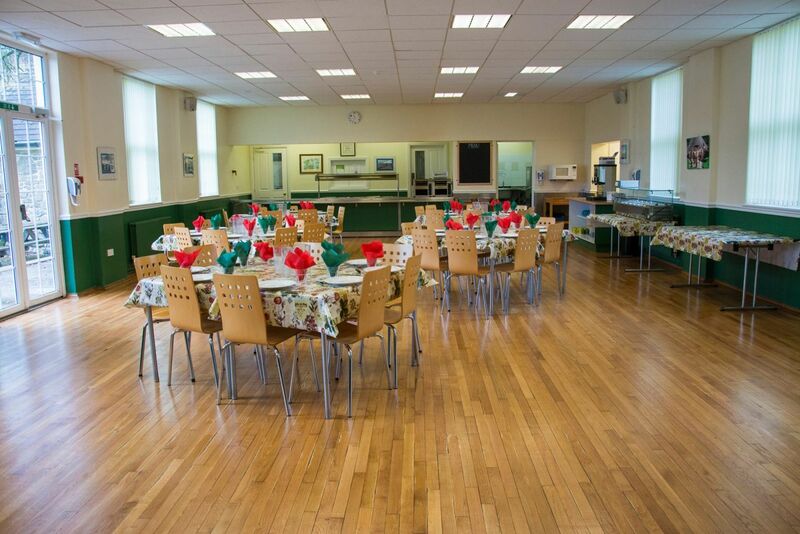 The dining room can seat 120 people and has a tea and coffee making area. The main lounge can seat around 110 people and there is also a lift connecting the two floors. 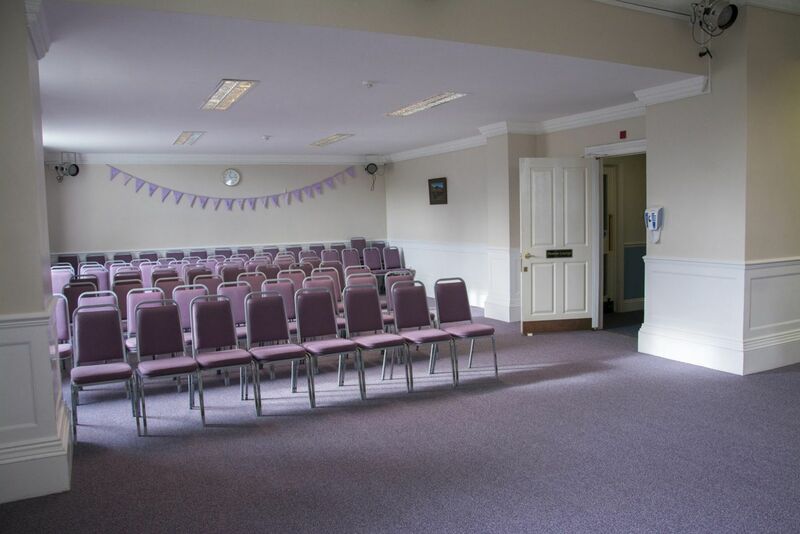 The main lounge has an audio-visual system which includes a ceiling-mounted projector, drop down screen, surround sound speakers and a wall-mounted connection point. 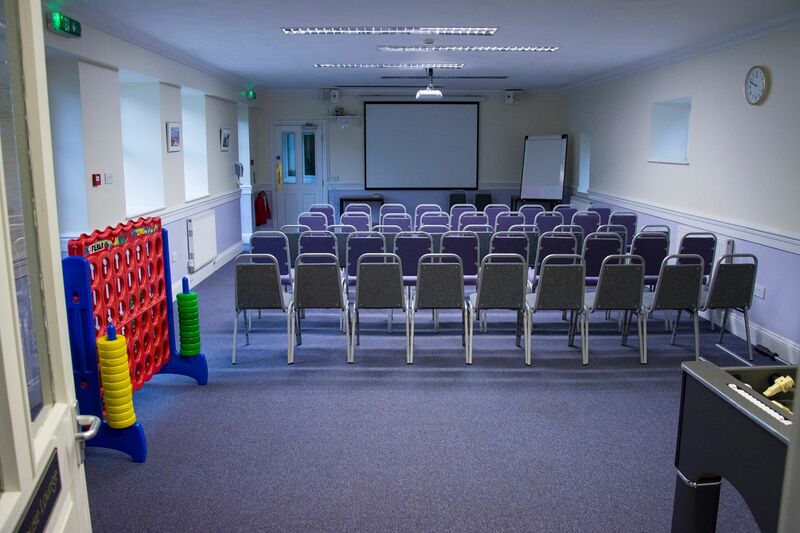 We ask all guests to bring their own laptops, tablets and cables as these cannot be provided; we recommend a VGA or HDMI cable and a standard audio jack cables for the speakers. 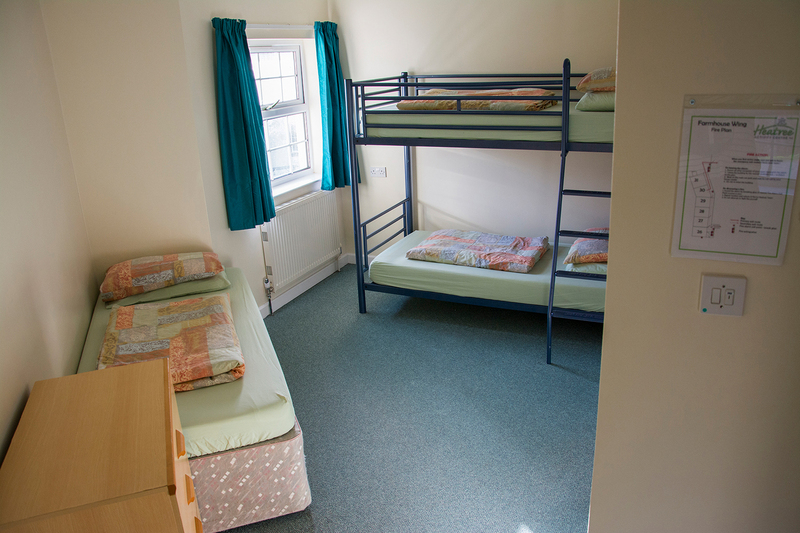 Stables is ideal for smaller groups with 24 beds across five bedrooms overlooking the inner courtyard; room 25 also has a wet room for easier accessibility. The downstairs area is open plan with comfy chairs and a dining area. 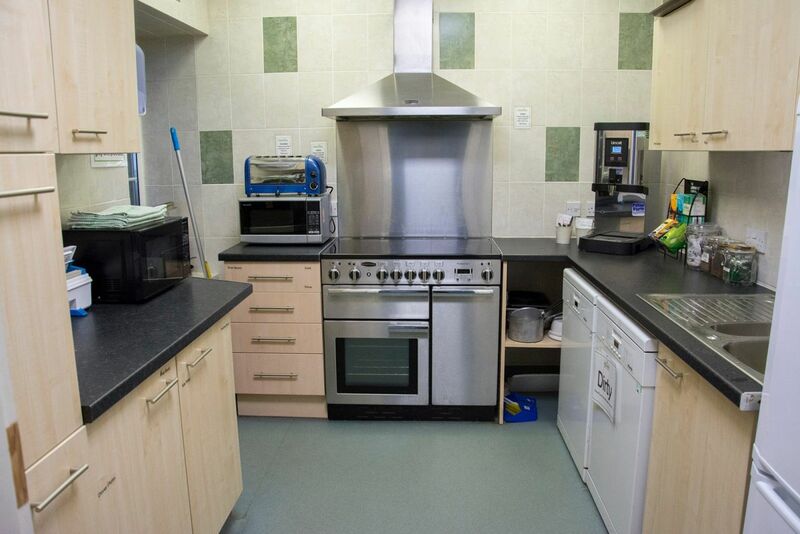 Adjacent to this is a small, fully equipped kitchen with tea and coffee making facilities. 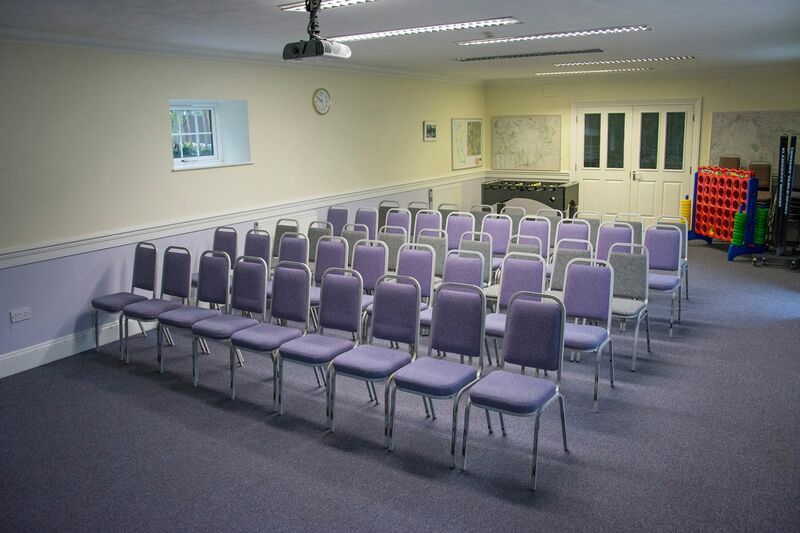 Stables houses our largest meeting room (seating up to 140 people) and has an audio-visual system which includes a ceiling-mounted projector, drop down screen, surround sound speakers and a wall-mounted connection point. 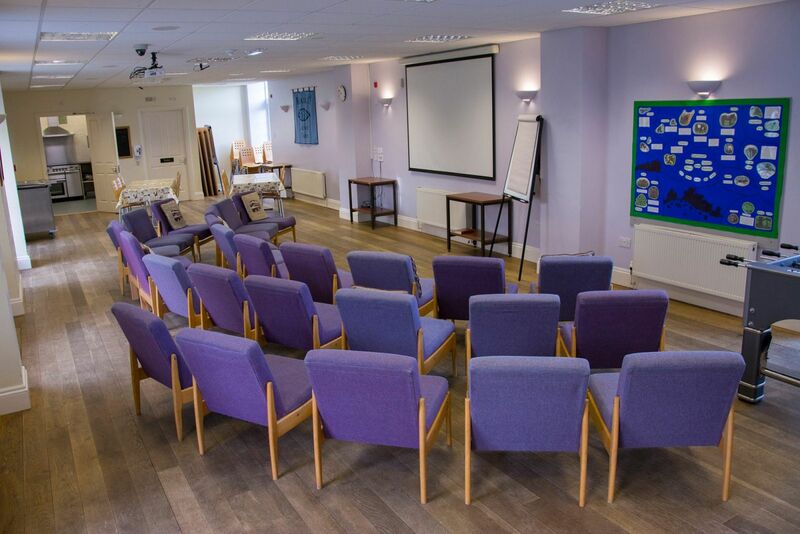 We ask all guests to bring their own laptops, tablets and cables as these cannot be provided; we recommend a VGA or HDMI cable and a standard audio jack cables for the speakers. Farmhouse wing has 65 beds across 16 bedrooms. 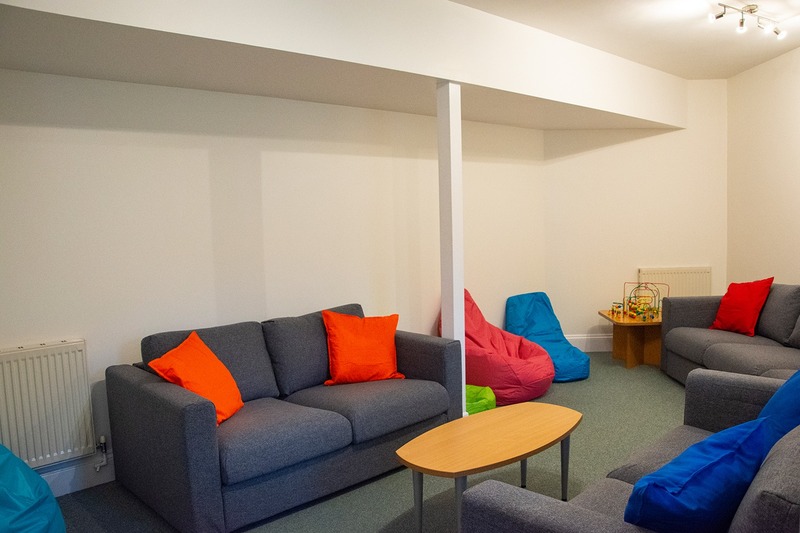 Downstairs, adjacent to the main lounge, there is an additional breakout room with sofas where teachers or leaders can meet and relax. 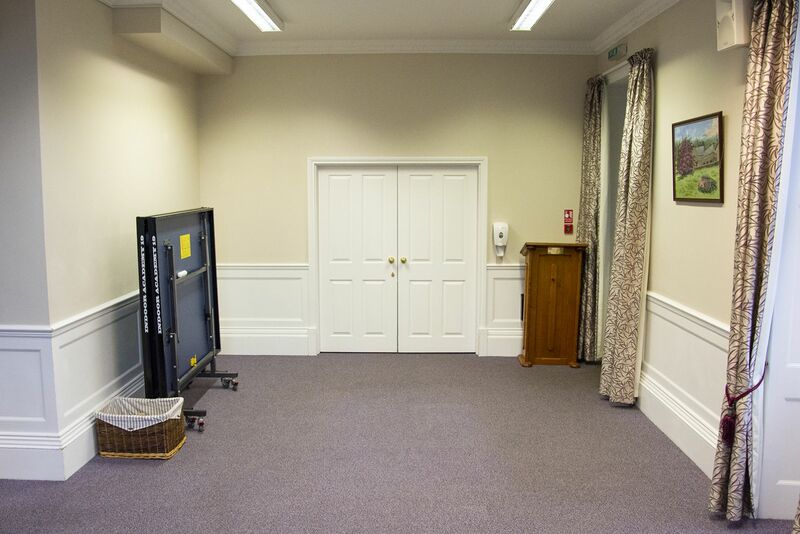 At the other end of the main lounge there is a small room housing a pool table, with ground level access to the outside. The main lounge, which can seat up to 65 people, has an audio-visual system which includes a ceiling-mounted projector, drop down screen, surround sound speakers and a wall-mounted connection point.We ask all guests to bring their own laptops, tablets and cables as these cannot be provided; we recommend a VGA or HDMI cable and a standard audio jack cables for the speakers. 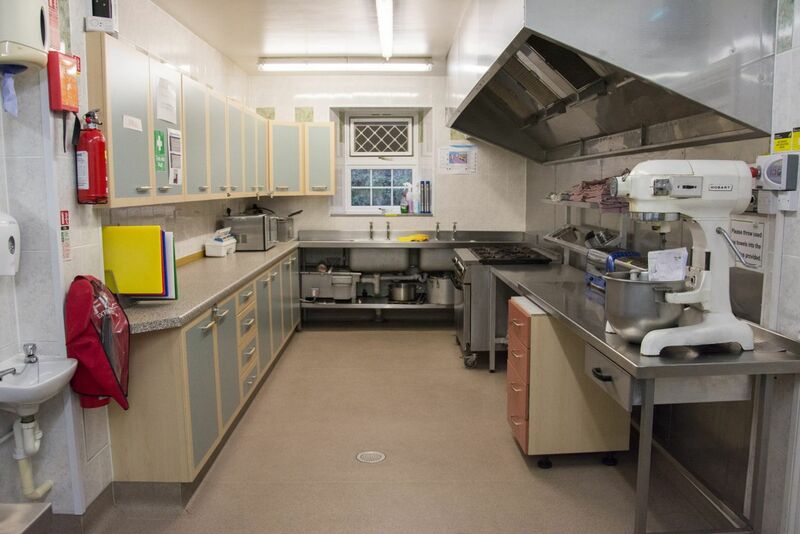 The dining room can seat up to 60 people and has a tea and coffee making area. 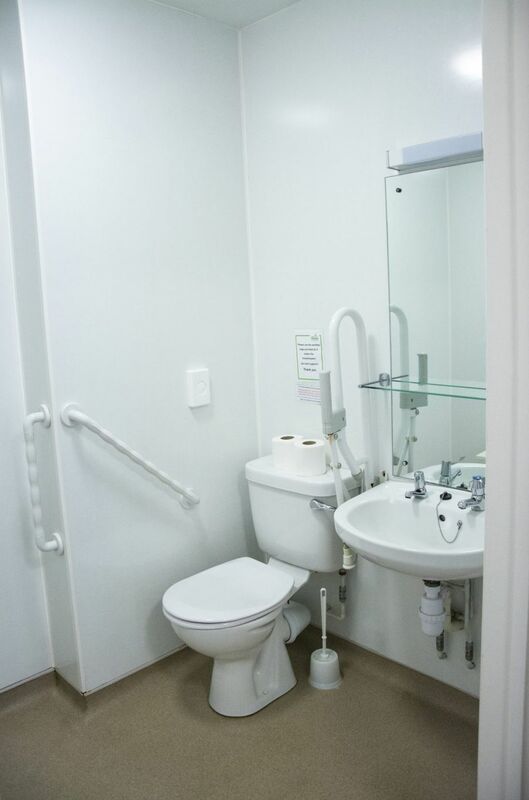 There is also a downstairs disabled toilet with baby changing facilities. In front of the main entrance there are several car parking spaces. 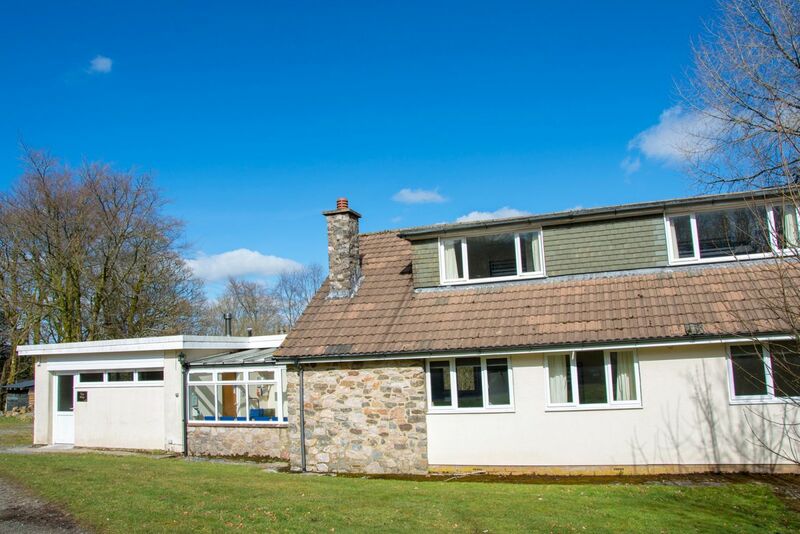 A short walk from the main house is The Way, a self-contained wing with everything you need for a residential stay. 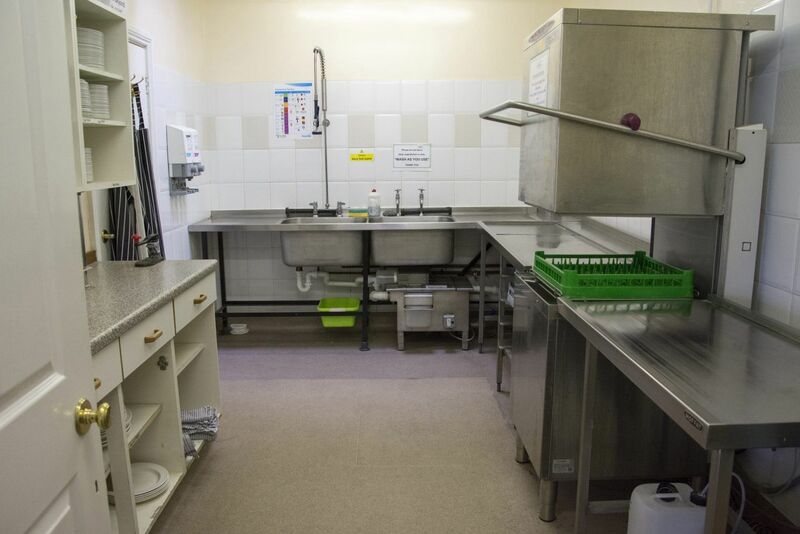 With 23 beds across eight bedrooms, there are separate male and female shower rooms and toilets. 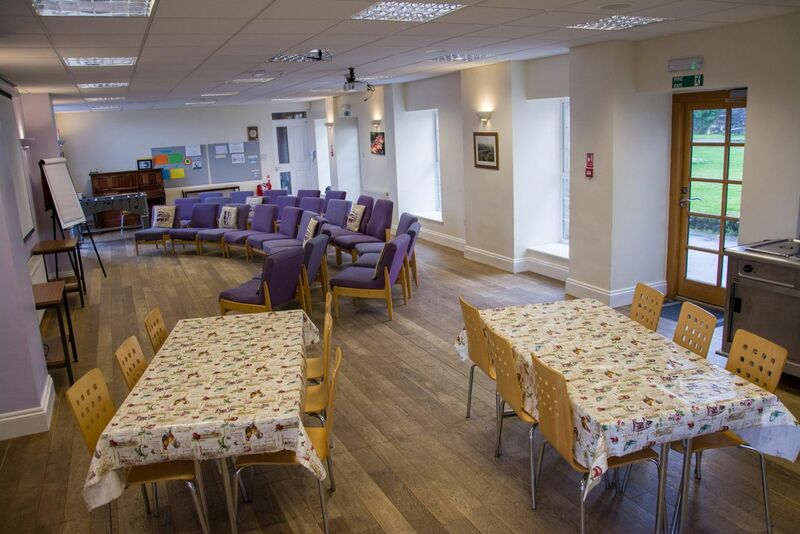 Downstairs there is an open plan lounge, dining room and kitchen and also a small conservatory area providing ample space for groups. Adjacent to this is a drying room, leading to the front door. This wing also has its own garden and campfire site with picnic bench seating, and next to the house there is space for several cars. We provide fresh, wholesome meals and always have excellent feedback from our customers. 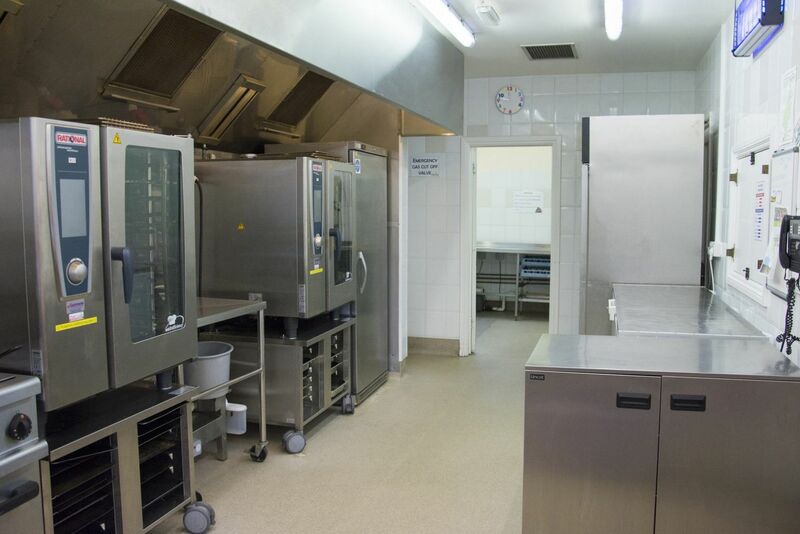 Using fresh produce, our food is cooked on-site by our chefs and served by our dedicated catering team. We ensure all special dietary requirements are catered for. 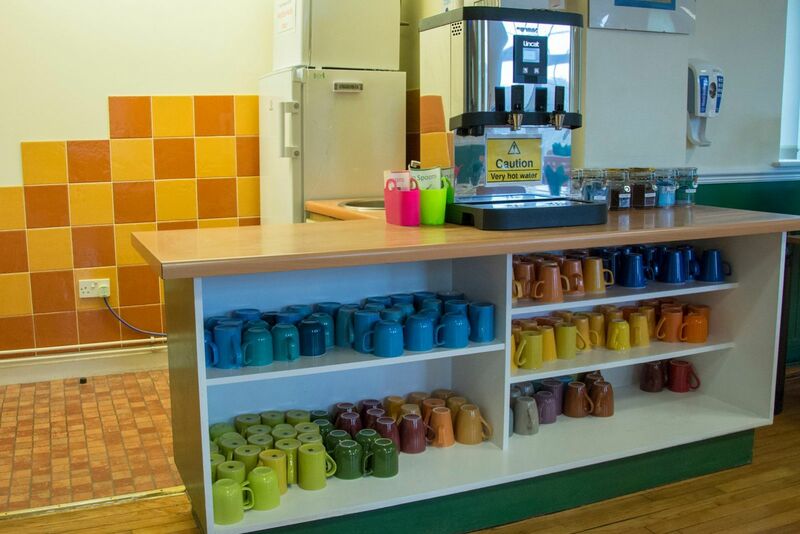 Hot and cold drinks are always readily available in our dining rooms. Breakfast of cereals, toast, jam, yogurt, tea, coffee and fruit juice. Lunch of deli-style filled sandwich baps with a choice of fresh fruit, crisps, chocolate bar and yogurt. A hot two course evening meal consisting of a main and dessert. Supper cake (for example flapjacks, shortbread, Victoria sponge or chocolate cake) is made available in the evening or as otherwise requested. 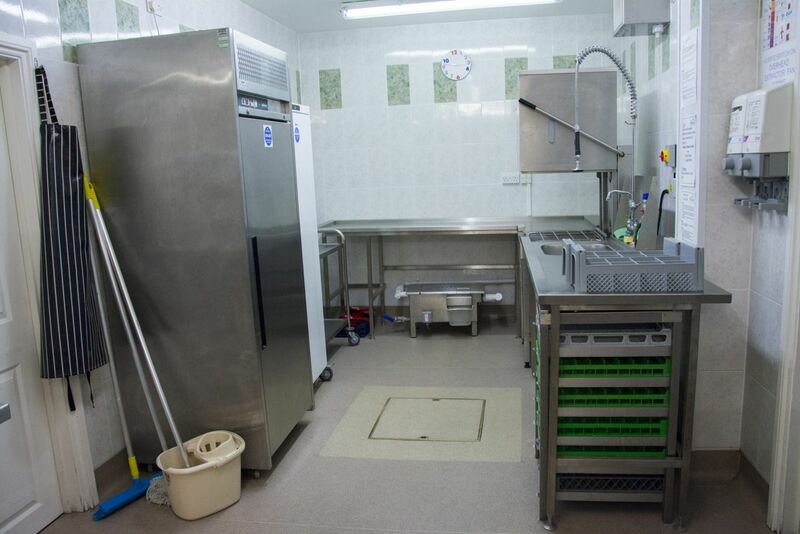 Heatree holds the Five Star Food Hygiene ‘Scores on the Doors’ rating. 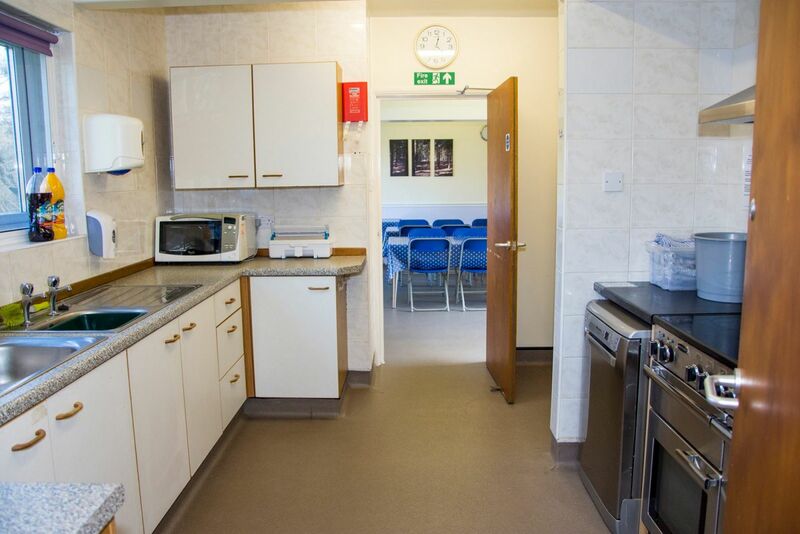 All of our kitchens are fully equipped for self-catered groups, with excellent facilities including heated serving units, dishwashers and plenty of cold storage space. 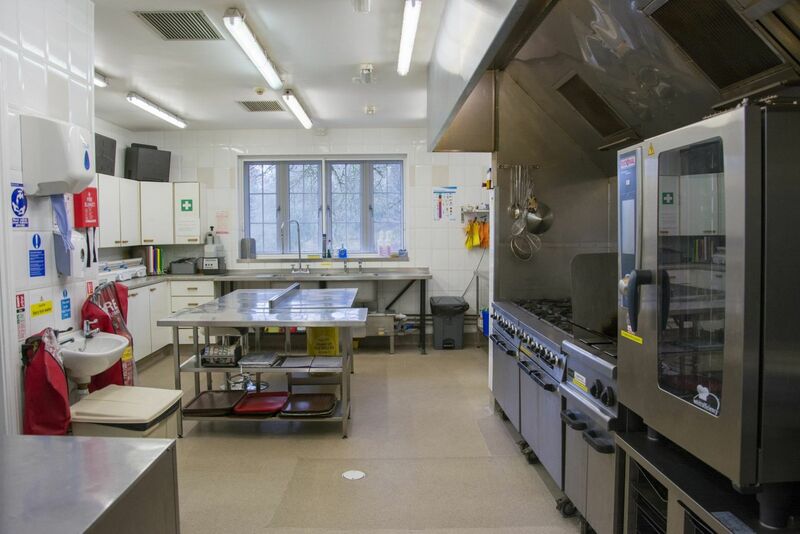 Full guidelines on what equipment is provided and how to use our appliances are given in our Guest Handbook (available for download). Please be aware that Heatree is a nut-free zone and we ask guests to not bring any food items containing nuts, (this includes peanut butter, hazelnut spread or cakes containing nuts). Please contact us to discuss your preferred dates and requirements. Once we have confirmed your dates are available or offered you alternatives and you are happy to proceed, we will add you to our secure booking system. You will then receive a deposit request for 10% of your estimated total and instructions on how to pay. Once we have received your payment, your booking will be secure and your deposit non-refundable. We will then contact you again nearer the time to go through the details of your visit. 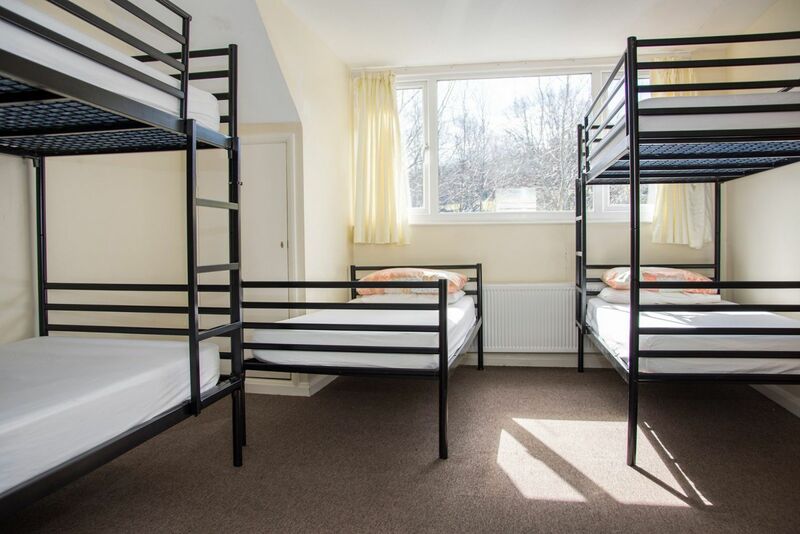 If your group number increases before your arrival date, please notify us as soon as possible and we will endeavour to provide further bedrooms as required, subject to availability.